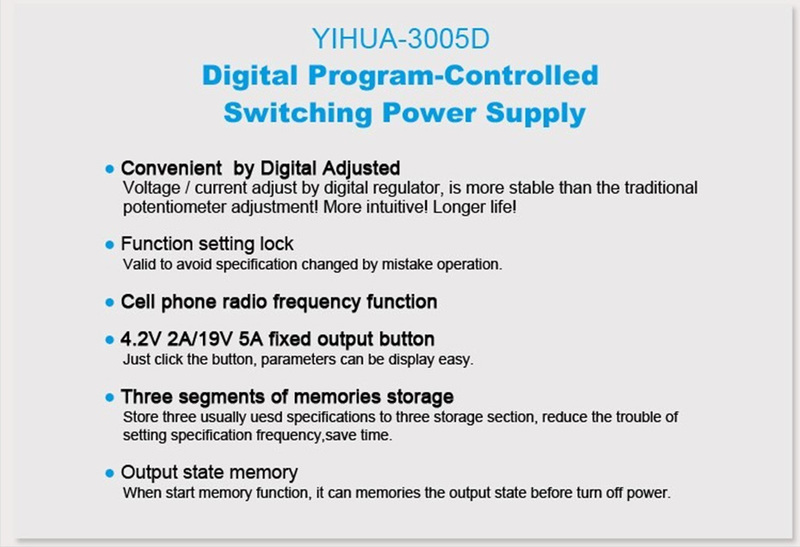 1.YIHUA3005D 30V 5A is the second generation of digital program-controlled switching power supply,it used the latest technology and crafts,the weight is very light ,it is 50% lighter than the traditional DC power supply ,it good for transportation and save the shipping fee,it also effectively avoid too heavy damage the product occur during transport. 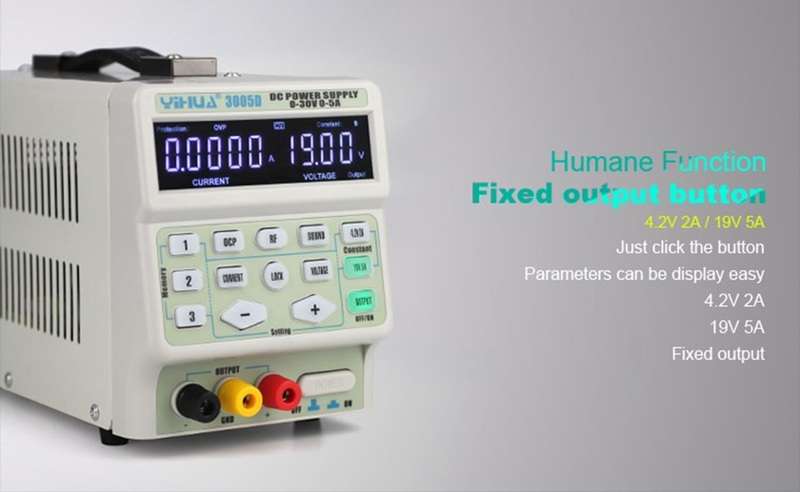 2.This digital program-controlled stabilized switching power supply is designed for use in laboratories, schools, production lines, and electronic repair. 3. It has a small size and is lightweight, which is very easy to transport and carry. 4. It has high efficiency, high load capacity, and low noise and is superior to linear power supplies. 5.It has high voltage stability, small ripple factor, excellent short circuit protection, and over-current protection. 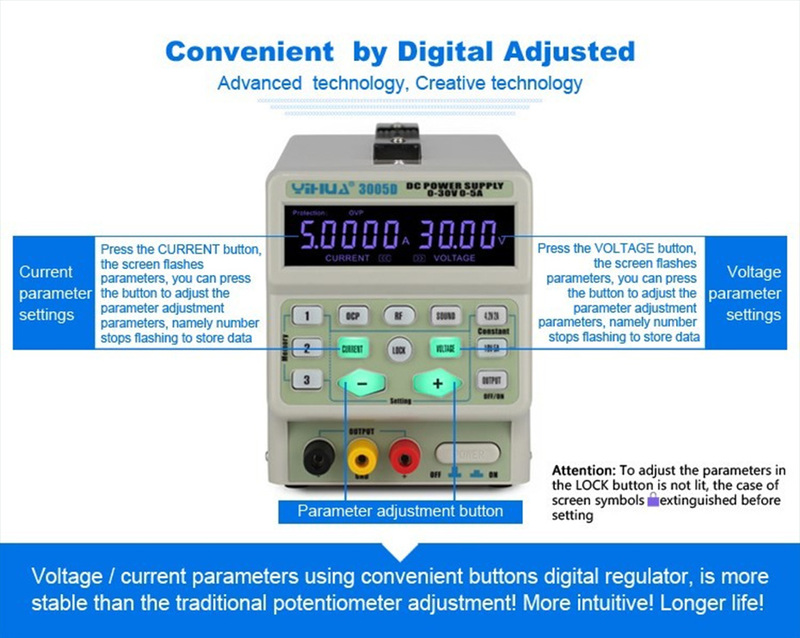 6.It digitally adjusts current and voltage, which is more advanced, more stable,and has longer life than traditional potentiometer adjusters. 7.It has an output electronic switch, which can easily break the output load. 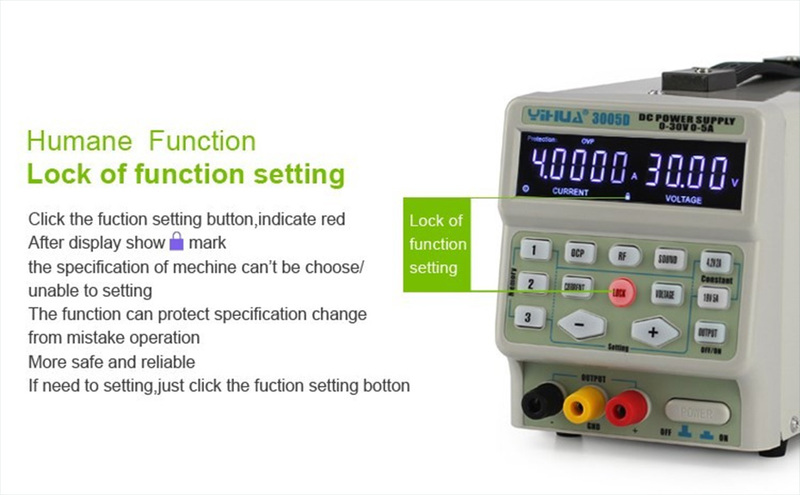 8.It has a function set lock that can effectively prevent change of output parameters or change caused by misuse, which makes the product more secure and reliable. 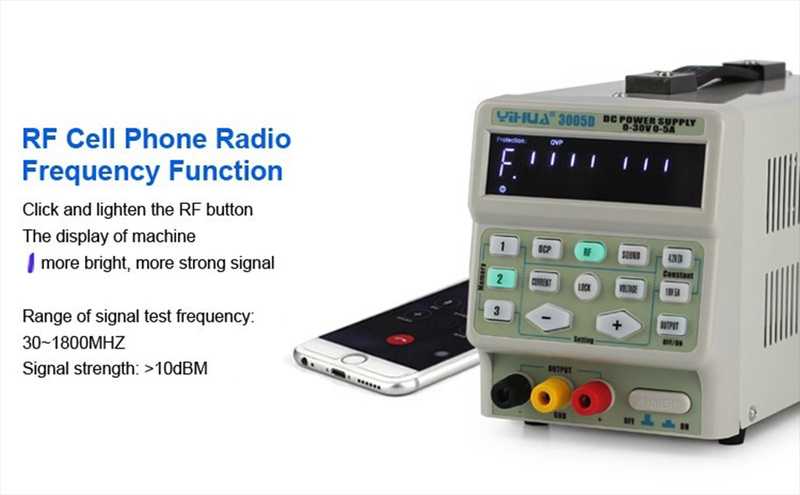 9.It has a cell phone radio-frequency detection function, which is of a 4.2V 2A/19V 5A fixed output function. 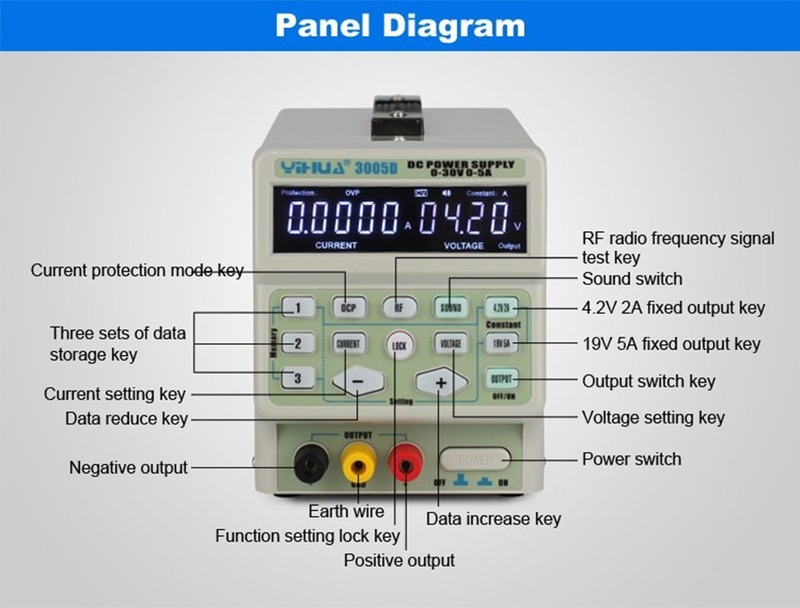 Parameters can be displayed by pressing the key, which is fast and convenient. It is an essential tool for cell phone and laptop repair. 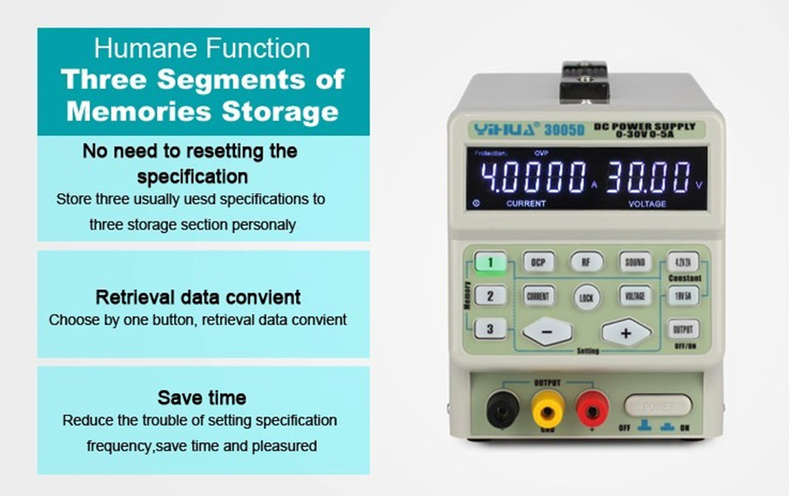 10.It has three storage memories that can store three sets of frequently used parameters for easy retrieval. 11.It has an output state memory function. When the memory switch is turned on,it can retain the output status before the power switch is turned off. 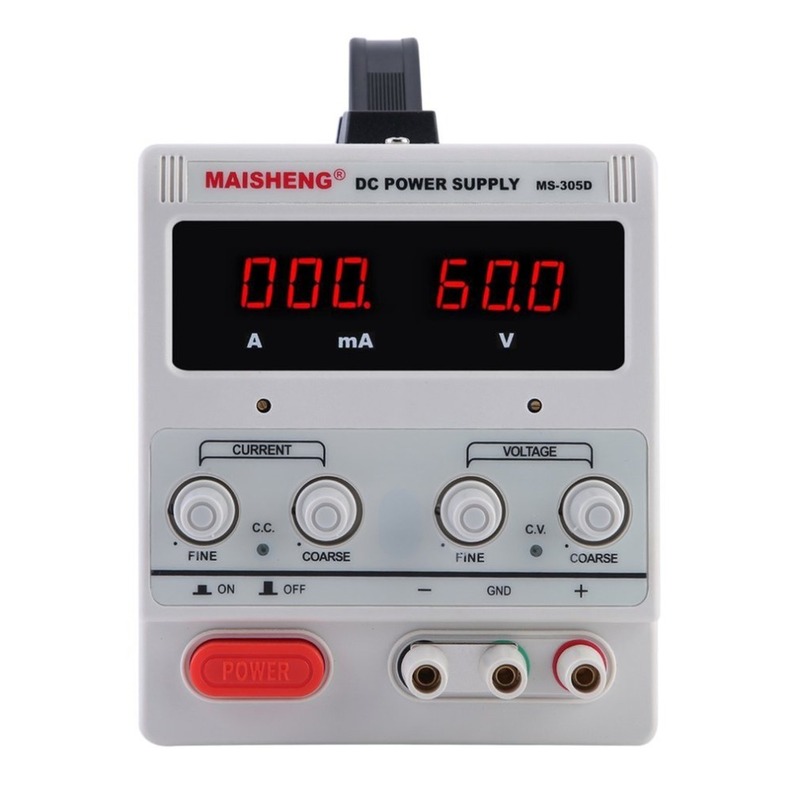 For example, when the power is in the output state, turn off the power switch, and when the power switch is turned on the next time the power supply will directly output the voltage. 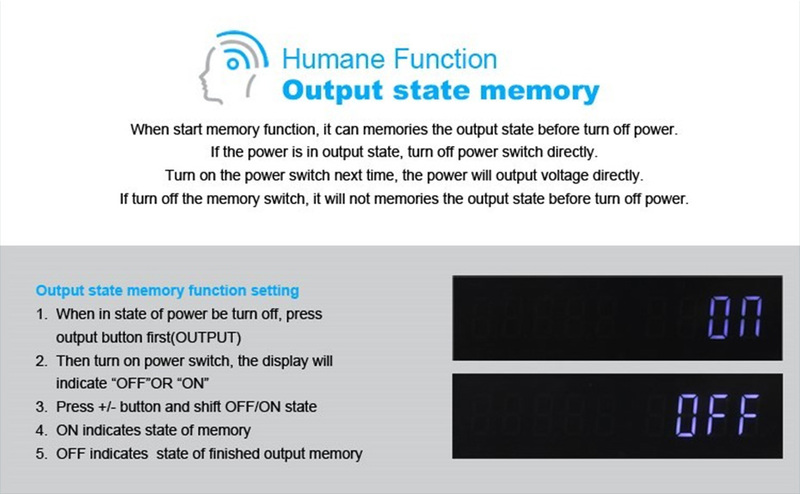 When the memory switch is turned off, it will not retain the output state when the power switch is turned off. 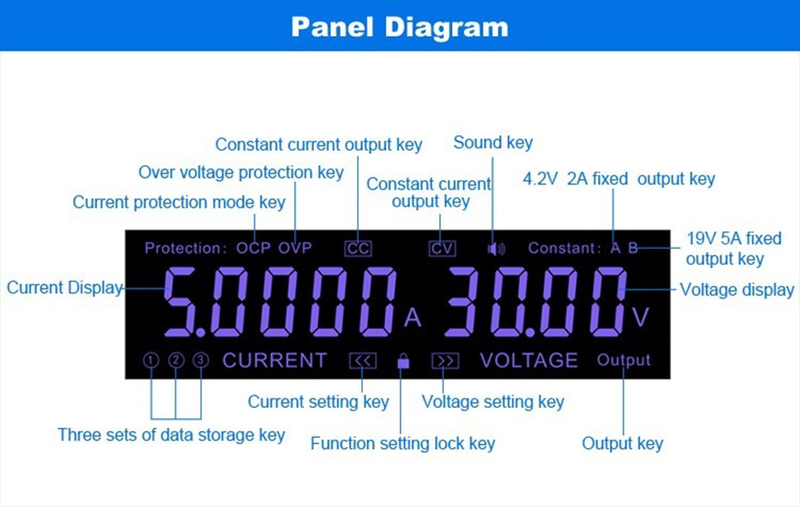 Every time the power switch is turned on, the output key must be pressed to output voltage. 3:Our product price does not include tariffs. When the goods pass the customs may have to pay the tariff.